Just how “anime” can a game be and still be a game? Tokyo Xandau is a game that asks this question of its player. Coming from the ever growing Persona clone RPG sub-genre Nihon Falcoms latest title to come West is a really hard game to pin down. On one hand it has a surprisingly dynamic battle system you can not wait to play, on the other hand to get there it feels like you are “playing” a mediocre high school fantasy anime. As such the game is full of of some pretty big highs and some serious lows. Note: This is regarding the PS Vita version of the game. An enhanced port for the PS4 Tokyo Xanadu EX+ is coming West shortly. How Much More “Anime” Can This Get? Tokyo Xanadu is weird, as I alluded to above at times the game for all intents and purposes stops being a game. There are sections where for upwards of twenty minutes you have almost no control, as the game forces you to go from story event to story event. Normally this isn’t a problem especially from Nihon Falcom who’s Legend of Heroes story thrives in its story based sections. However these feel different. It is likely due to how cliched the game is. 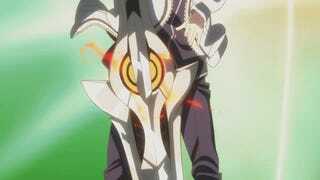 Each character fitting a specific archetype that if you want Japanese anime you have seen time and time again. The silent detached protagonist, the tsundere beauty (named Asuka for god sake...), the cute childhood best friend who has a thing for the detached protagonist, the beautiful ojou-sama Student Council President, I can go on but the point has been made. This is exacerbated by the “Chapter” format of the game with each chapter telling a self-contained story so far - always ending with a new party member. The games Opening even plays before each chapter making them feel like episodes of an anime. Normally this would not be a big problem except at the moment it feels like an anime I would have given up by now. It is impossible to deny that Tokyo Xanadu took a lot of influence from Atlus’ Persona series of games. Now this normally would not be a major issue as the format is strong and one would think it would play to Nihon Falcoms strengths. Unfortunately Tokyo Xanadu had a serious case of bad luck. Launching months after Persona 5 in the West, one of the best games of the year the comparison between Xanadu and Persona 5 is not kind. In fact the games are so similar I am sure many are going to think Nihon Falcom ripped off Persona 5. This is of course nonsense as Tokyo Xanadu is a year older then Persona 5, however the comparison will exist and it will hobble the game going forward. Tokyo Xanadu is not without merits no matter how it seems so far. In fact the game is amazing half the time and that is when you are in combat. For an action RPG limited by the control scheme of the Vita, Tokyo Xanadu is surprisingly deep. This is due to the care the developers obviously put in designing each character. What I mean by this is that each character plays uniquely. One focuses in brute force with stationary, other medium range combat, others magic based range, while be complemented by physical based range. Each undergirded by a simple to master rock-paper-scissors elemental based attack system. As the game goes on an unlocks more skills the battle systems becomes all the more addictive. This is enhanced by the score system that Xanadu implements with each stage giving you a grade. The issue is S Ranks are far too easy if you have any skill at all with the game, meaning those looking for a challenge have to strive for perfection. A feat I have myself have yet to achieve as balancing speed and zero damage is... difficult. This is a Playstation Vita game from 2015 so of course one should not expect revolutionary visuals. However as I play Tokyo Xanadu I keep having an odd feeling I have been in these areas before, despite never having reached them in games. I quickly came to a realization, Tokyo Xanadu makes liberal use of prior assets from Trails of Cold Steel. While it is clear Xanadu is running on the same engine as Trails of Cold Steel many areas seems quite similar to those found in Nihon Falcoms earlier game. The most notable of this is the Park staging area of Tokyo Xanadu which shares extreme similarities with areas in Cold Steel I was able to correctly predict two exists I had yet to discover. There is nothing wrong with reusing assets just its something that is hard to ignore. If you have played Nihon Falcoms last major release Trails of Cold Steel you will have met Towa. The adorable Student Council President of Thors Military Academy and one of the most stand out characters in the game.It now appears Towa was so popular she is now serving almost as a mascot to Nihon Falcom as she appears in Tokyo Xanadu. While not a playable character she plays a large role in the story as the main protagonists surrogate sister/home room teacher. Personally I do not mind her inclusion Towa was one of my favorite parts of Cold Steel. Do you miss the days when JRPGs have fun mini-games you could get lost for hours in. One of the highlights would have to be Final Fantasy VIIIs triple triad card game. While Blade is not quite on that level I have found myself getting lost in this surprisingly deep card game. Originally introduced in Trails of Cold Steel blade makes its return in Tokyo Xanadu. Only now in an enhanced form with new “Spell” cards as I refer to them that can break your game in annoying ways. Blade is a fun diversion and required to get some nice early game items, however watch out as the game is not what I would call balanced. As winning the opening draw is often decisive, however with a little luck Blade can be quite profitable. Note, so I was wrong. Apparently Blade is older then Cold Steel, thanks to a reader for pointing it out! Let us get this out of the way now. Fanservice is a staple of Japanese anime and it is not a surprise a game that is so “anime” is full of it. From the more benign type of Easter Eggs mostly related to Trails of Cold Steel, to the more direct form fanservice it is clearly present. After the stellar job that XSEED did in adapting The Legend of Heroes games and especially Trails of Cold Steel moving to Aksys Games Tokyo Xanadu is jarring. The most obvious point is there is no English Dub, while not a major problem for me as the Japanese Voice Acting is top notch, for those who were expecting an English Dub will be in for a rude awakening. However there is some dark spots, the script of the game is just sub par. Obvious translation errors litters the dialogue boxes, with certain segments of the dialogue being clunky and just plain odd. It appears they tried for a more literal translation, however in doing so the game has come out jumbled and clunky. Nothing like the nearly perfect translation Cold Steel received. While nothing of importance is missed it can often take one out of the game. As seems to be the case as we move away from the narrative aspect of the game to the actual game, things improve. One aspect that is quite impressive is the dungeon design. As mentioned above to get a perfect scoring on a dungeon one needs to be both untouched and fast, while managing a combo of 100 Hits or more. On the first play through of a dungeon which plays as a standard action game this is nearly impossible. However one one figures out the layout of a dungeon and the ability to exploit it the dungeons become less of a Point A to B trek, but a puzzle you need to unravel. In many ways I feel if Tokyo Xanadu took more inspiration from Nihon Falcoms Ys series of games and less from Persona it would have been a much more cohesive experience. If you have read all the above first things first, thank you. However I do want to stress Tokyo Xanadu is not terrible far from it, it is a great action game with a cumbersome anime wrapped around it. For some people I am sure there is a lot too love and if you are a fan of the Vita and Nihon Falcom it is an easy purchase. However if you have an aversion to anime tropes and bad pacing, stay away. All around I want to like Tokyo Xanadu more then I do as it has moments of brilliance, sadly I cannot speak of that as its spoilers but there is something here. All around I am having a good time dungeon hunting, score seeking, and getting to the bottom of some things. 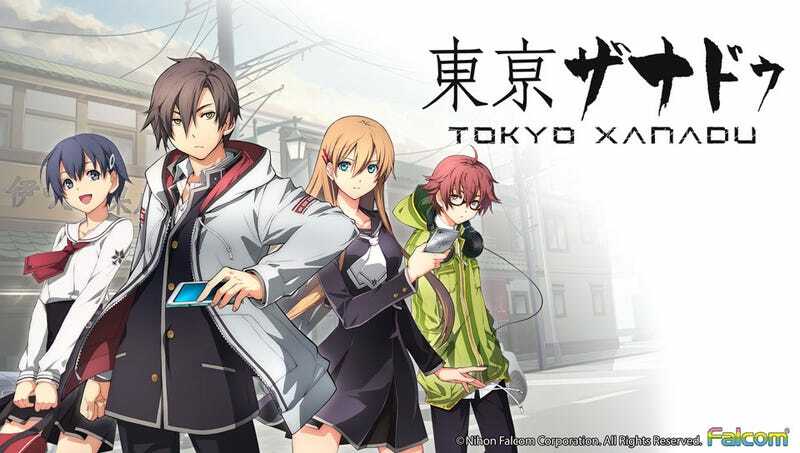 If you are playing Tokyo Xanadu let me know in the comments.